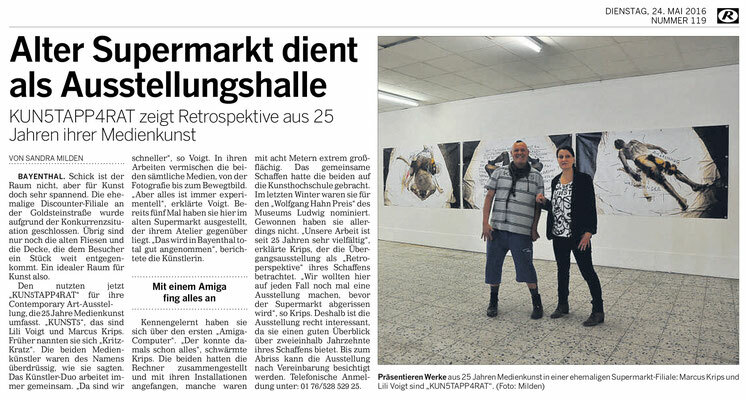 KUNST5 ist eine Platform für Malerei und Musik, digitale Fotografie und Streetart. Auf dieser Homepage stellen wir unsere Veranstaltungen und unsere Projekte vor. JAKSON is one of many characters from the world of shadow theatre figures created by the Indonesian artist Daniel Kho. 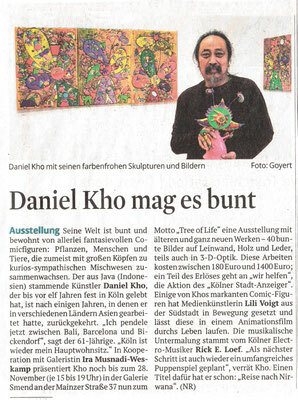 The animation loop of Lili Voigt is part of the current exhibition of Daniel Kho. The loop shows the journey of JAKSON and his encounter with the "Tree of Life", which stands for the whole of nature. 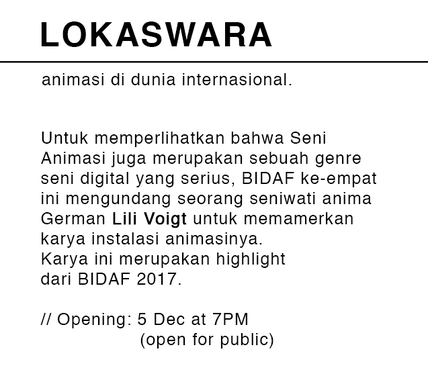 The animation loop reminds of a magic lantern, as it plays with light and shadow and is inspired by the traditional Indonesian shadow puppet theatre. The sound, an electronic gamelan interpretation, is created by the artist and musician Rick E. Loef. 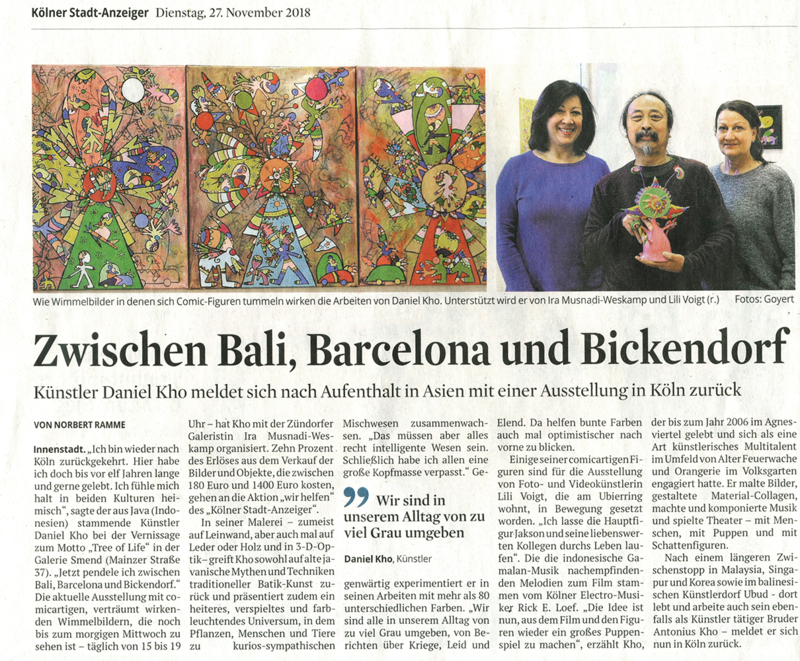 The piece is a preview of a contemporary Wayang shadow play developed by Daniel Kho and based on a philosophical text by Werner Koenen. The scenery of the play, which is actually performed in the traditional way with figures attached to rods, is illuminated by a light projection, an animated world created by Lili Voigt. 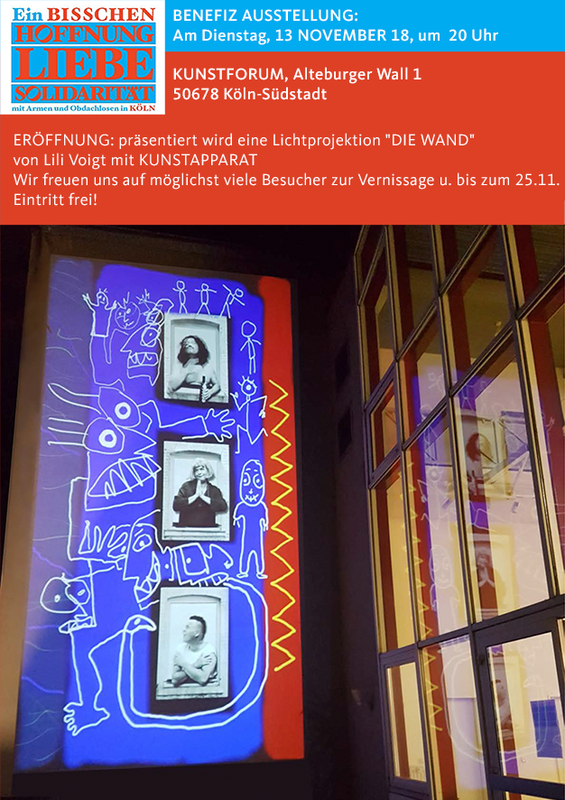 Eröffnung: Präsentiert wird eine Lichtprojektion "DIE WAND"
Wir freuen uns auf möglichst viele Besucher zur VErnissage und bis zum 25.11. Geöffnet: dienstags bis samstags von 17 bis 20 Uhr. have embarked on a quest to explore and investigate this multitude of influences on their own identity. Galerie Koppelmann - "URBAN MAZE"
Aktfotografie im Wandel der Zeit"
Freitag, 24.10.14 um 19.30 Uhr. "Schau hin, wie schön ich bin!